We have a new addition from the near-legendary slot game creating company of Microgaming. This new entry comes in the form of a slot game based in ancient Greek mythology. And the name of this game is Hot as Hades. If you know anything about the world of online gambling, then you have definitely heard about the company of Microgaming, and of the fact that the Microgaming stamp of creation is a near guarantee that the game itself will be of excellent quality. Why should you even bother to play this game? Well, there are several reasons for this. We think that the biggest thing that separates this game from the competition is the attention paid to the visuals and the overall graphic design of the game. You will be able to see the excellent visuals in the form of the characters of Hades, Medusa, Zeus and Poseidon, which are, as you may know, all characters from ancient Greek mythology. But where the design really shines through is on the bonus game where you will be able to go on a quest against your opponents, and in order to find the legendary crystal helm. The music is also beautiful to listen to – Microgaming have indeed given their best to make everything up to par when it comes to the production values of the game. The symbols of the game vary – you will see that there are various card symbols, symbols of the characters of the game, and special symbols. These of course give you different winning combinations on the 20 pay lines, and depending on the value of the symbols that you have connected you will go home with a variable sum of money. If you can hit at least three scatter symbols, then you will enter the aforementioned bonus game. You will face Zeus, Medusa and Poseidon on your quest for the crystal helm. All of these characters will present hurdles to you on the way – you will have to bypass them in order to succeed – you will also win money on the way. There’s also a wild symbol within the game, so this means that whatever it is that you may need for a winning combination – except for a scatter – you will be able to replace it with a wild symbol. There’s also a super mode free spins bonus, where you will get 5 free spins and a few wild symbols to spice things up. 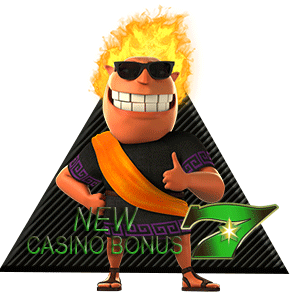 Hot as Hades slot is a really fun game that you can play no matter who you are. It’s spiced up with different bonus features that you will most likely enjoy, since they will bring you more money. And moreover, you will be playing the game while listening to the beautiful music in the background, and while enjoying looking at the beautiful visuals and animations of the game.